At the beginning of January, I shared a few Instagram stories showing new products I bought from Sephora. I was so excited to try some new brands, as well as add new beauty, skincare, and makeup products into my routine! I want to share with you guys everything from my Sephora haul and product reviews for each item. 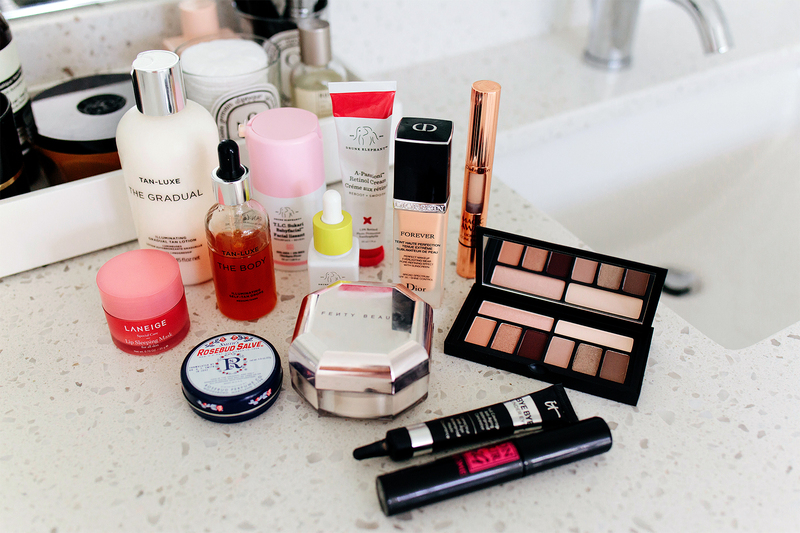 I think this will also be a fun new monthly series to add to the blog - let me know what you think and if there are any products you've been wanting to try, and I'll be sure to test them to include in future Sephora hauls! SO many of you guys recommended a few of your favorite Drunk Elephant products when I asked on stories, so I bought the top 3 to try for my January Sephora Haul. 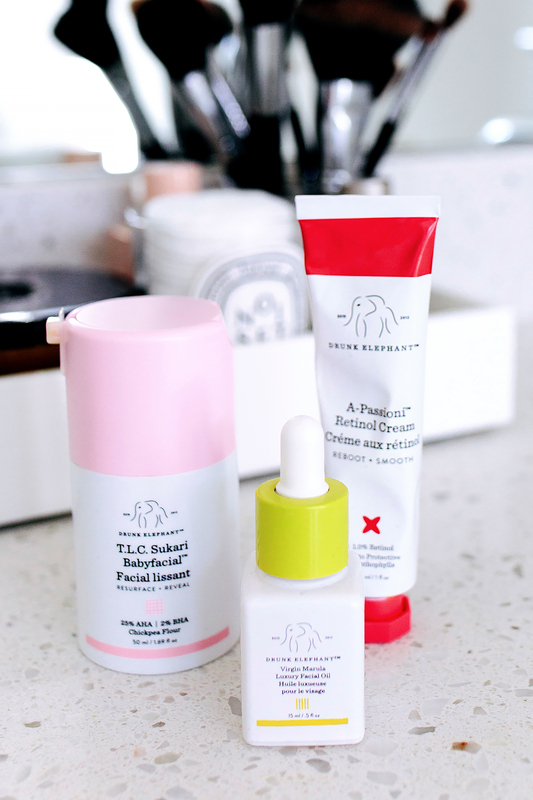 First, if you haven't tried Drunk Elephant, the brand is all about clean skincare that either directly benefits the skin’s health or support the integrity and effectiveness of their formulations. The #1 recommended product, was the BabyFacial by a landslide. I was hesitant because I don't do masks that often, but I purchased it. The BabyFacial mask resurfaces to reveal greater clarity, improved skin texture and tone and a more youthful radiance. You guys LOVE it. However, I tried it twice and didn't notice a difference whatsoever. I really want to like it, but I don't think I'll be purchasing again. The next recommended product was the Drunk Elephant Marula Facial Oil. I love a great face oil, so I was super excited to try this product! The Marula Oil delivers clinically proven results to reverse the signs of aging, reduction of fine lines, wrinkles, redness and blotchiness with improvement in skin’s elastic feel. I loved this product immediately! Do I love it more than Vintner's Daughter? No. But it's a great budget friendly alternative to Vintner's Daughter. The last Drunk Elephant product I tested was the Retinol Cream, more so because you guys were curious about it. You have to be super careful when using retinol, so as always make sure to consult a doctor before trying new skincare products. This cream is 1.0% vegan retinol with nourishing, superfood-rich ingredients to dramatically diminish the appearance of fine lines, deep wrinkles and sun damage revealing a vibrant, younger-looking complexion. I do like the cream, however, for the price I'd rather pay a little more and get medical grade retinol. I don't think I'll purchase this again once the tube is empty. I struggle with cracked lips, especially during the winter and my regular lip balm didn't seem to be cutting it. 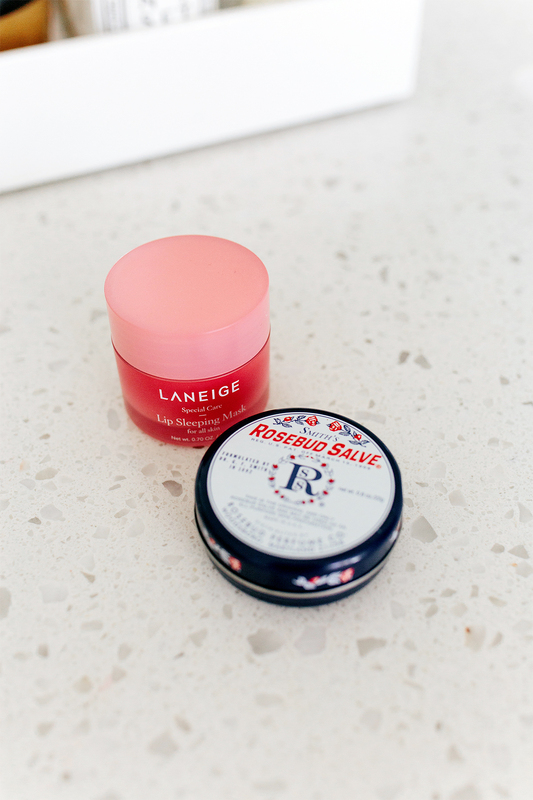 I asked for our advise and the Laneige Lip Sleeping Mask & Rosebud Salve were in the top for recommendations. I use the Laneige sleep mask at night; its similar to a balm but I coat it just a tad heavier to soothe and moisturizes my lips overnight. 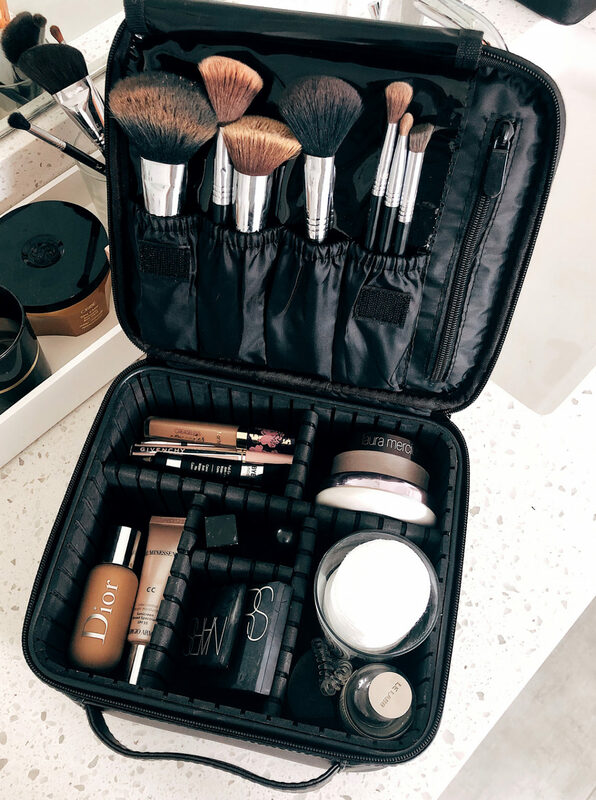 I LOVE this product and will definitely always have on hand! During the day I use the Rosebud Salve and while I like it, I still find myself using my go-to Kiehl's lip balm. I think adding the Laneige sleep mask has helped tremendously so it doesn't necessarily matter which balm I use during the day. I've used the Tan-Luxe Face Drops for a few months now and love them, so I decided to give the body drops & lotion a try. FYI I will be sharing my self-tan tutorial soon, so stay tuned. I love the body drops just as much as the face drops and found that mixing with the Tan-Luxe lotion instead of my everyday body lotion also gives it the extra boost I'm looking for. I will continue to buy these two products and use during my normal self-tan routine! I have finally found the best combination of primer and mascara to get the most full lashes. So many of you think I have extensions (which by the way I've never done). I have been using this Givenchy Primer for at least a year now, but when I pair it with Lancome's Monsiure Big mascara (in black), I have the best lashes ever! So many of you have messaged me saying you love the primer and mascara combination - it makes me so happy to hear that its working for you as well! Also, if you're looking for a little added lash length, this is my favorite serum. Ok. 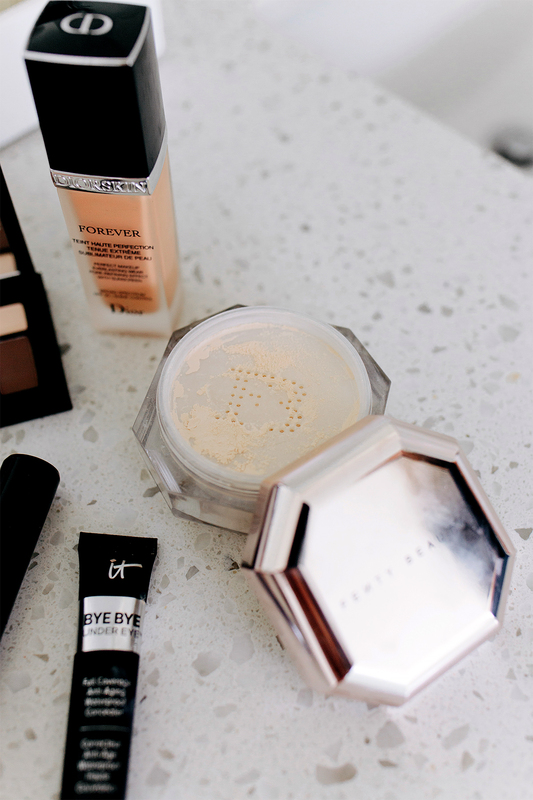 So really I use two products to hide dark circles under eyes. I bought the IT Cosmetics Bye Bye Under Eye concealer first and really liked it. The texture is just a bit tacky, so I like to use my beauty blender to apply. 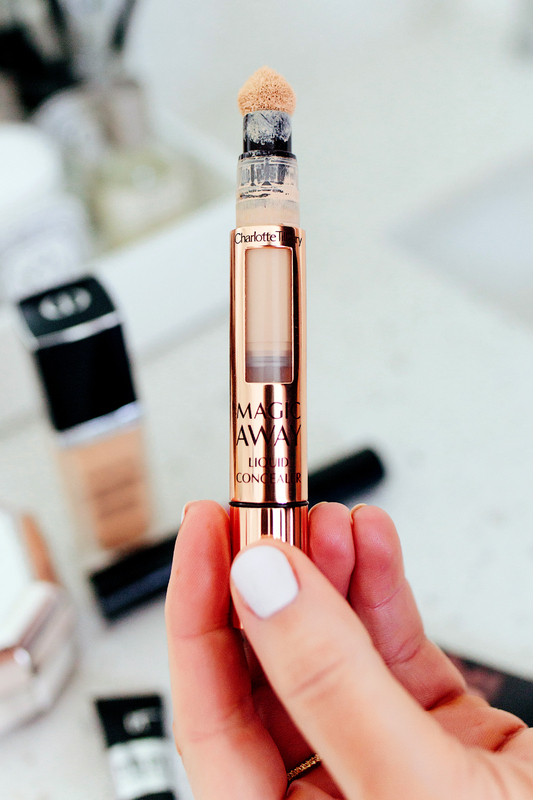 I had a friend also recommend the Charlotte Tilbury Magic Away concealer, so I purchased that (shade #3) and started wearing it instead of the IT Cosmetics concealer just to test out at first. I love the sponge applicator, but I still use my beauty blender to blend the concealer. Its a little lighter than the IT cosmetics and I liked the feel of it. However I don't think it has as good of coverage as the IT cosmetics concealer. I decided to try layering them, using IT Cosmetics first, blending with my BB sponge, then applying the Charlotte Tilbury Magic Away and again following up blending with my BB sponge. The results are incredible. I'm minimal when it comes to makeup and don't like the "caked-on" look and this doesn't look cakey at all! Just great full coverage to hide those dark circles. 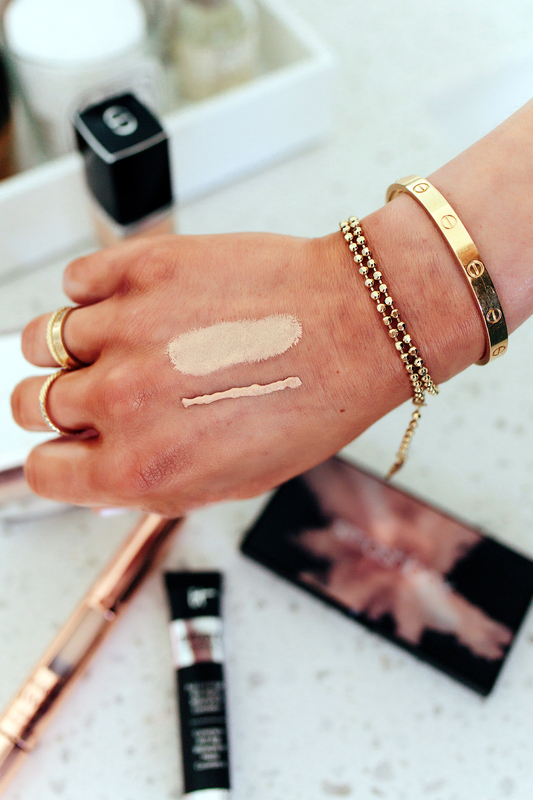 Second Image: Top swatch is Charlotte Tilbury concealer. Bottom swatch is IT Cosmetics concealer. 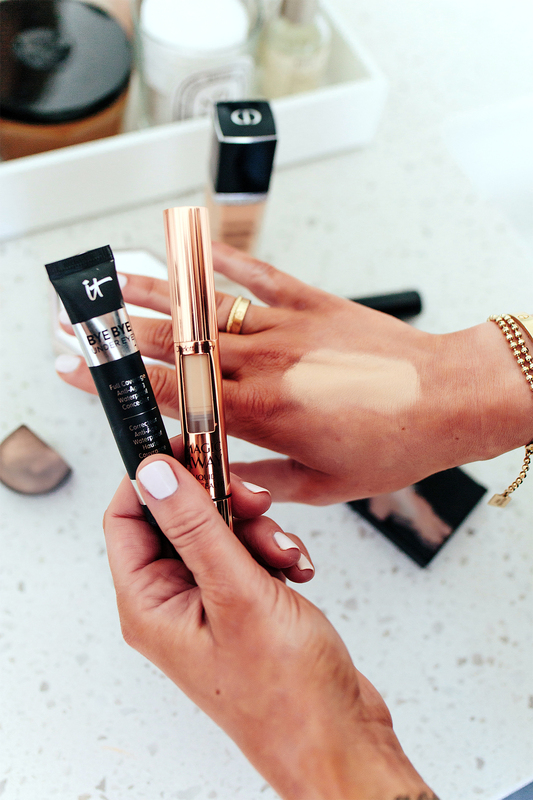 Third Image: IT Cosmetics concealer with Charlotte Tilbury concealer layered on top & blended. Anyone else find a palette they like and only use 3 colors and the other 23493847 go un-touched?! Thats me, just maybe a little exaggerated. As I mentioned, I'm more of a minimalist when it comes to makeup. I don't switch things up too often, especially when it comes to eyeshadow. Once I find a few shades I like, I stick with those. I was in the market for a new palette, but I didn't want anything with a ton of colors, especially colors I would never use. I found this one from Smashbox and was obsessed with EVERY color it offered. Of course the palette name is 'minimalist' so I had to buy it. I love the pigment and texture of each shadow. 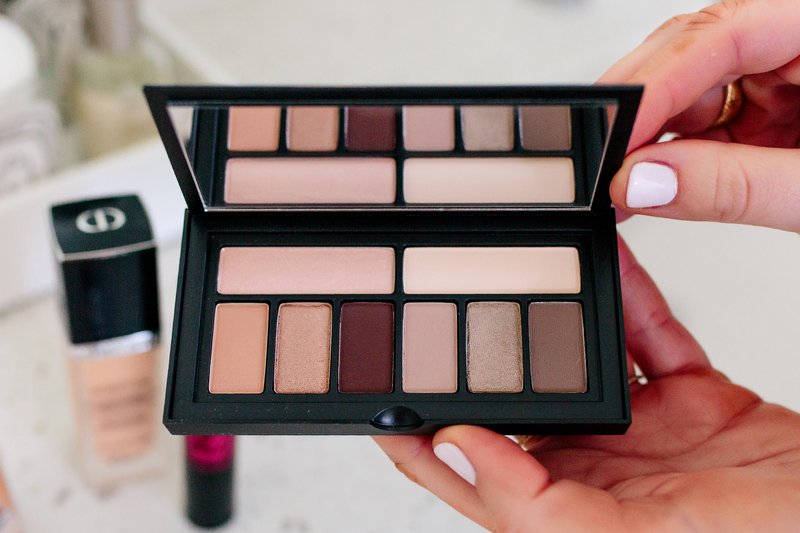 This has definitely become my new favorite palette and I highly recommend it! Again, another girlfriend recommended the Diorskin Forever foundation. 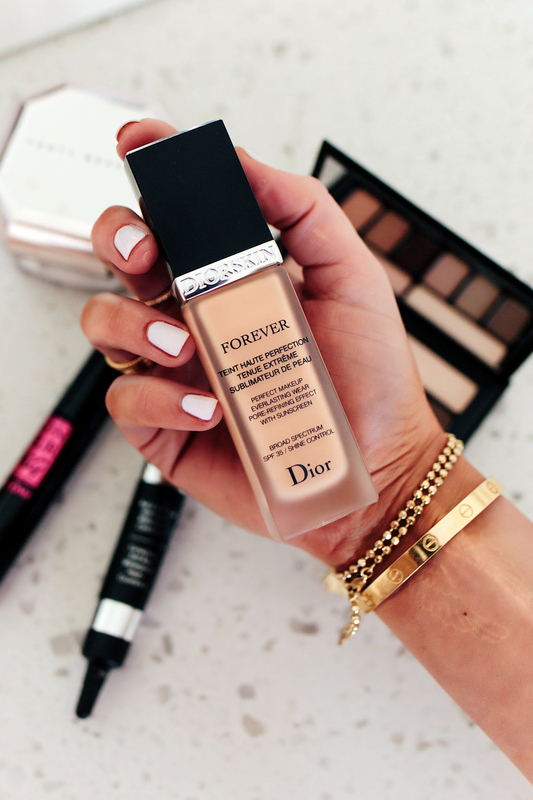 I was using Dior BACKSTAGE and loved it, but decided to give this a try. I really do like this one as well, but its a little more full coverage to me, so I don't use it for 'everyday' wear. 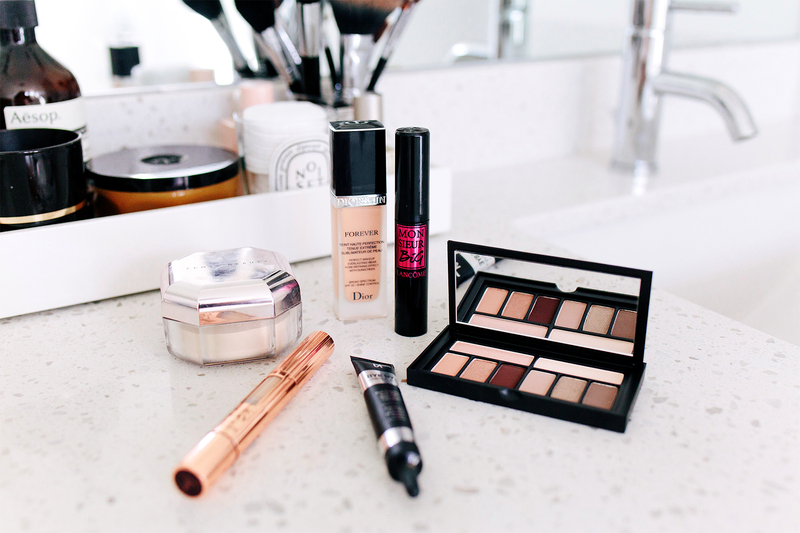 So for now I use Dior BACKSTAGE for 'everyday' wear and Diorskin Forever when taking pictures for the blog, or when I want to be just a little more done-up if that makes sense! FYI you can't buy this product online and will have to go to Sephora to match your color. I've never used a setting powder, again simplicity is key for me when it comes to makeup. However, when I was on one of my Sephora runs, I asked the sales associate what her current favorite product was out of everything! They had just received the new Fenty Beauty setting powder and she told me how much she was loving it. I've never tried Fenty Beauty but always heard great things! I've also never used a setting powder so I was a little lost at first. She said I could use it all over my face, but actually using it after applying my concealer would give the best results. I. AM. HOOKED. I promise the combination of my two concealers with this setting powder has made such a difference. I use the color 'butter' and apply with this brush. Can I ask you a question about the tan luxe drops? I’ve been wanting to try them, but how is the self tanner smell on these? I’d spend my life savings on tanner once they figure out one that doesn’t smell the day after! they def don’t have the typical tan scent, but they do have a beachy scent if that makes sense! I really want to try the Tan Luxe products now (except they’re all sold out for the time being). I have perpetually dry and cracked lips during the winter too. I’ll try the Laneige lip mask as well. Thanks for sharing these recommendations!